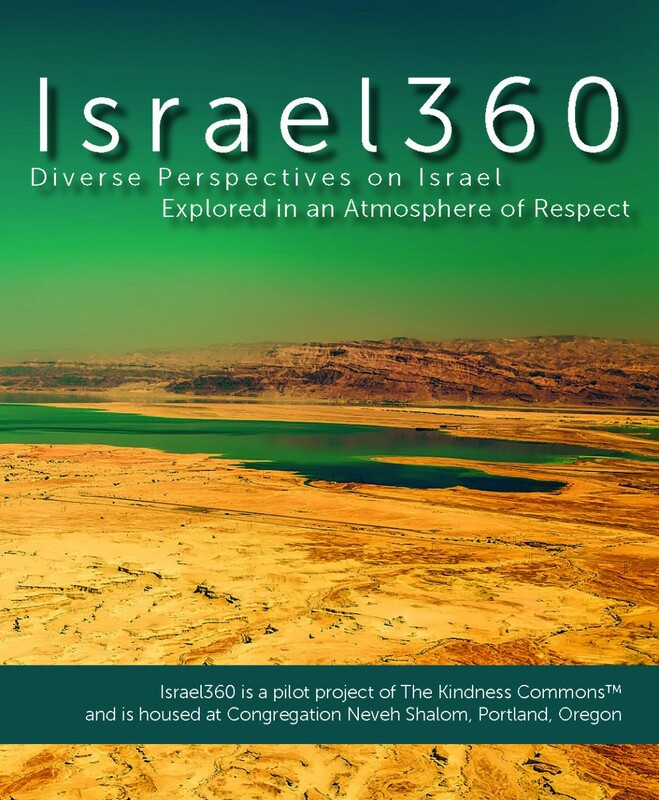 Israel360 is a pilot project of The Kindness Commons™ and is housed at Congregation Neveh Shalom, Portland, Oregon. Israel360 is a series of regularly occurring programs that will consider many aspects of Israel–modern and ancient–from diverse viewpoints and approaches. Some sessions will have a cultural, political or military focus, while other events will examine Israeli history, sociology or the peace process. In today’s world, any mention of Israel can be contentious, because people arrive at events with pre-formed opinions. To help us grow past this, and to model the Jewish values of shmirat halashon (thoughtful speech), derekh eretz (civility) and makhlokhet l’shem shamayim (directed dialogue), all programs will be facilitated. At each event, attendees will be reminded of a set of guidelines for participation. The goal is to ensure that dialogue and discussion are respectful and that questions and comments spring from a sense of curiosity rather than a desire to prove a position or score a rhetorical point. Sponsorship is sought for future programing. Please contact dkosak@nevehshalom.org for more information.